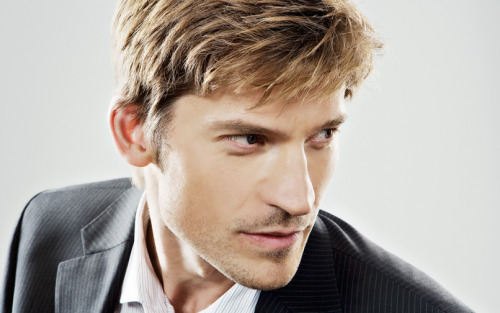 Monday Morning Man: Nikolaj Coster-Waldau! Fans of HBO’s Game of Thrones are familiar with this Danish heartthrob named Nikolaj Coster-Waldau. The 41-year-old actor got his first big break in Danish film came with the 1994 hit Nattevagten (Nightwatch). He then began to make a transition to American film with the 2001 movie Black Hawk Down. A succession of other roles followed in such films as Enigma, Kingdom of Heaven, Wimbledon, and Firewall. Before Game of Thrones came along, Coster-Waldau has starred in the short-lived Fox series New Amsterdam. All the while, he continues to also stay busy in Danish cinema with a steady succession of movies. He’s so yummy…if only I could have fifteen minutes with him! He’s making me…whew! Mmm-mmm-MMM!